Considerable evidence indicates that zombies do not receive optimal palliative or geriatric care. High prevalence of untreated pain, depression, decreased socialization, and impaired sleep and mobility, as well as lack of access to proper medical care are universal issues facing this population of undead. It is therefore not surprising that zombies and their loved ones often express dissatisfaction with after-life care, which may play a role in zombies' seeming unquenchable desire to eat the brains of the living. In the following post we will address some of the most common issues facing zombies, and some potential palliative and geriatric solutions to providing truly Zombie Centered Health Care (ZCHC). One of the most surprising issues facing zombies is the lack of coordinated health care focused on the care of the dead. Many zombies may benefit from an interprofessional team based service like hospice. However, the hospice benefit is limited to those with less than 6 months to live, effectively ruling out zombies as they are already dead. One proposal by some zombie advocates is to create an open access policy for hospice that includes the undead to ensure that they receive the same type of care that has been shown to improve care and family satisfaction in the living. While the gait speed of zombies has not previously been estimated, we can use the speed of the Grim Reaper as a rough estimate for the maximum speed of a zombie. In a BMJ article, Death’s maximum speed was estimated to be less than 3 km/hour, which is around the speed I have estimated zombies to shuffle at in most of the publicly available films. This speed in older adults is associated an elevated mortality risk, which remains true for zombies, as they have a 100% mortality rate. 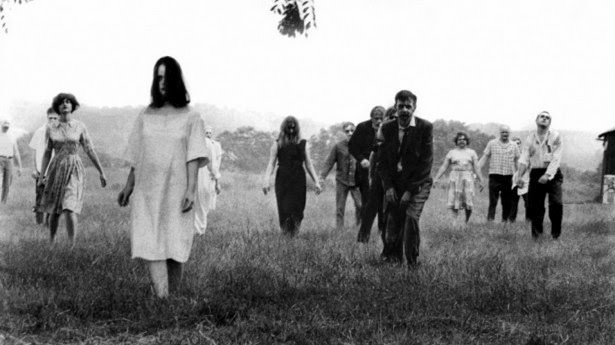 Interestingly, zombies pose a paradox as they have a slow and shuffling gait reminiscent of a Parkinsonian gait, but an exceeding low risk of falls as revealed through an informal yet systematic review of all available zombie clips available to the public viewing. Zombies are clearly delirious as evident by an acute change in mental status, inattention, decreased level of consciousness, and disorganized thinking. In addition, day/night reversal and perseveration (for braaiiins) is virtually pathognomonic for their condition. However, after researching hours of zombie behavior, another clear finding is that insomnia is a very large issue for zombies. I have yet to see a film of zombie behavior that shows one in sleep. While this is merely a hypothesis generating finding, there is a strong correlation between insomnia and the delirium seen in zombies (a 1:1 ratio). Given this, it may be reasonable during any zombie apocalypse to attempt interventions that produce a phase-shifting effect on circadian rhythms, such as the use of bright light therapy or melatonin, to decrease the rate of zombie related behaviors. Diagnosing depression is as difficult a task in zombies as it is for those with advance illnesses. DSM V criteria for the diagnosis of depression exclude symptoms like psychomotor retardation that are due to the direct physiological effects of a general medical condition, like death. Furthermore, symptoms like guilt may be a normal reaction to lifestyle choices, such as eating your family members brains. The median life expectancy for zombies is zero days. This grim statistic underscores the importance of discussing prognosis with zombies, as it is for anyone with a serious illness. A study by Smith and colleagues revealed that most zombies want to know their prognosis. Unfortunately, upon my review, no zombie movie has ever demonstrated a health care provider, or for that matter any of the living, telling a zombie his or her prognosis. The subject of advance care planning pertains to end-of-life decisions, which may seem unimportant for zombies as they are past the end of life. However, understanding the values and preferences of zombies around “dead-decisions” is just as important as asking the living about end-of-life decisions. Given the high rates of traumatic injuries, having stated values of what is most important to zombies in their deaths, what brings them enjoyment while being dead, and what are the biggest worries and concerns would appear to be just as important to the undead as to the living. Thank you so much for the timely information on the Zombie Care issues. Thanks, Eric, for this interesting discussion. Perhaps zombies represent folks who did not receive good palliative care before their death and are out looking to seek revenge on a health care system that failed to meet their needs! In this light, palliative care would be considered a preventive measure. While your focus was on issues in geriatrics ever consider studying associations between symptoms in young zombies and the mummy-daddy dyad? Could you share more about your methods? Did you use qualitative decomposition or did you succumb to the more generic immersion/submersion in the data approach. Personally, I'm fatally attracted to the former. Thanks again for raising the zombie issue; and reminding us that for many, there's more to life than "being mortal". I was disappointed to see the "medicine-centric" focus on the needs of the undead. Where, I ask, is the interdisciplinary approach to the care of the zombie family system? Social workers face special challenges in advance care planning. How to prove to Social Security that someone is undead, yet technically dead? I'm hoping that the writer will consider applying for a multi-year grant so that all team members can have a voice. Or at least we can have a family meeting.